By Sasha Harris-Lovett // previously posted on latimes.com. 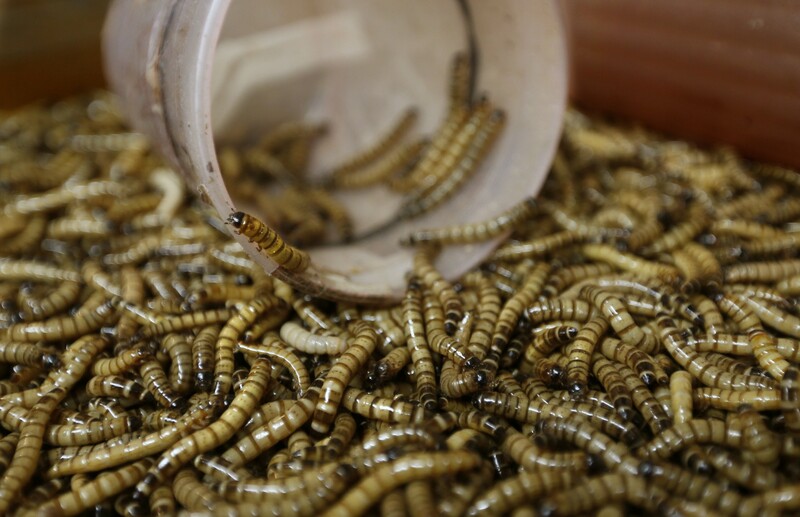 Most are destined to become bait for fish or food for reptilian pets. But not all of them. “A lot of orders now are going to restaurants,” she says. 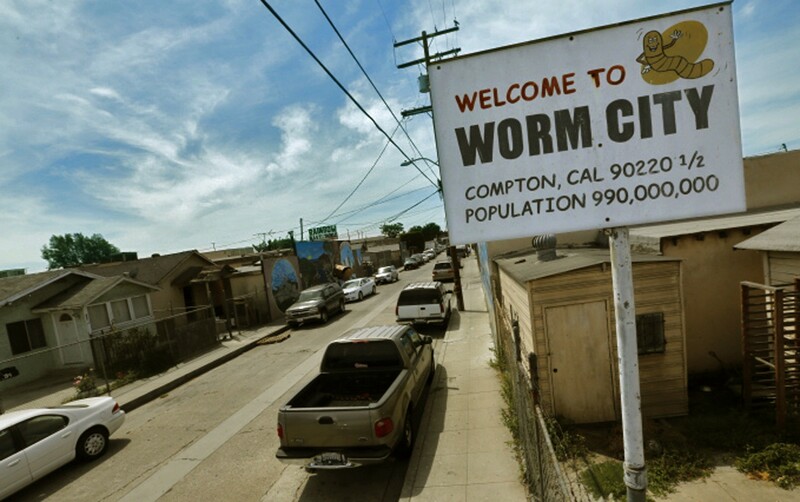 Spence’s Compton company, Rainbow Mealworms, supplies the mealworms and their larger, feistier cousins, called superworms, to a number of edible-insect businesses across the country. One, called Hotlix, puts them inside lollipops. 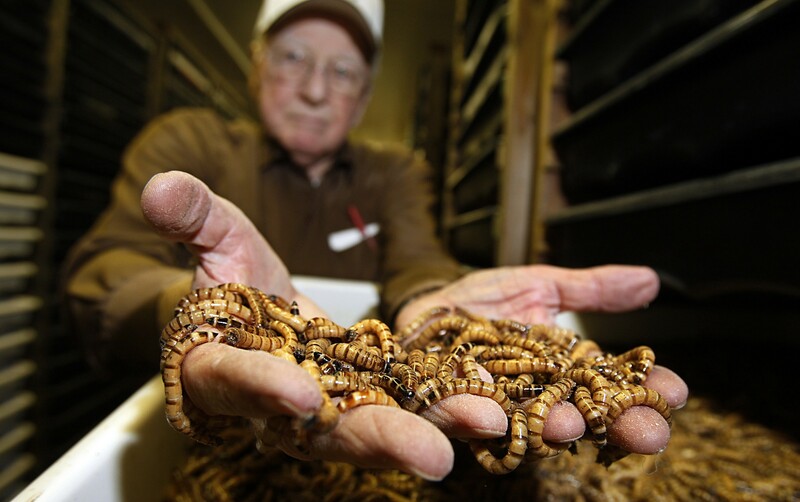 Mealworms and superworms aren’t actually worms at all — they’re the larval forms of two species of darkling beetles. They’re also two of the roughly 1,900 insect species that are good for people to eat, according to the United Nations’ Food and Agriculture Organization. Two billion people around the world consider insects a dietary staple, but they’ve been in the American food supply for just a few years. That’s clear at Rainbow Mealworms. At its complex of small houses, millions of beetles — in all life stages from larvae to adults — live in trays stacked on 8-foot-tall racks that look like they belong in a bakery. Each tray teems with thousands of insects nestled in a bed of whole wheat bran, which they eat, and fresh baby carrots, which they nibble on for water. When he heard a TED talk about the benefits of edible insects, he latched on to it as a possible solution. The health and environmental benefits were clear. 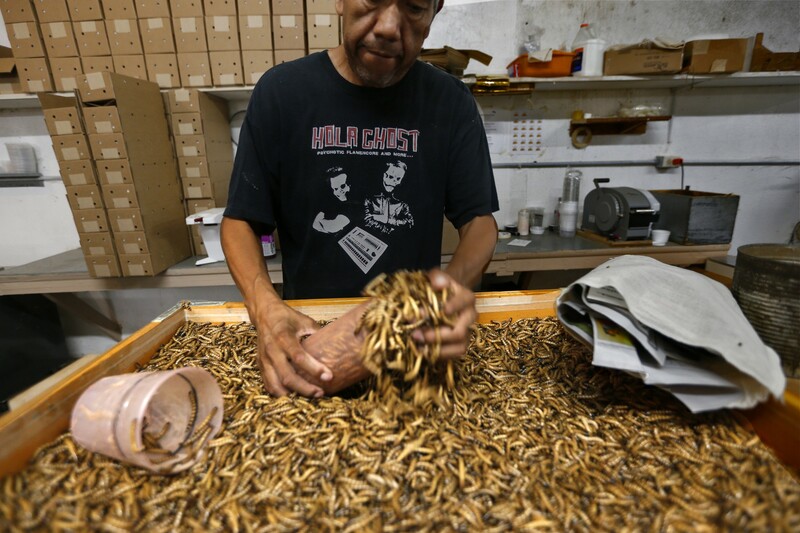 Mario Lozano fills a tray with 1-inch-long golden mealworms that will soon be shipped live to customers who use them as food. Photo: Luis Sinco. 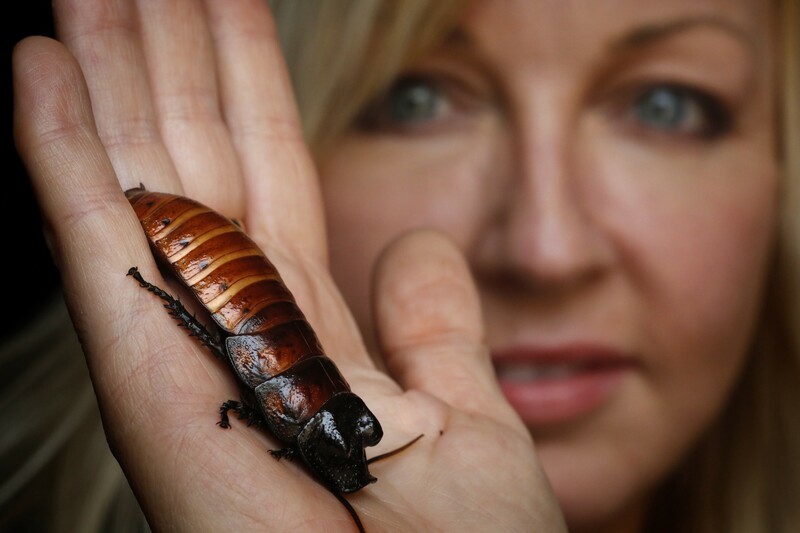 And compared with cows, crickets are way more efficient eaters. Feedlot cattle require at least 6 pounds of food to put on 1 pound of weight, and only about half of that weight is actual meat, said Dan Shike, an animal sciences researcher at the University of Illinois at Urbana-Champaign. In contrast, crickets in the 2015 PLOS One study required about 2 pounds of food to put on 1 pound of weight collectively, and the whole insect is edible. 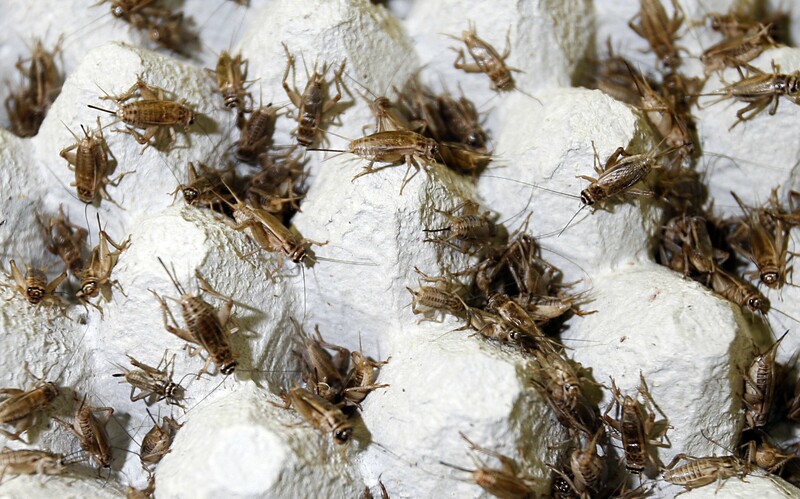 Crickets are raised by the millions in egg trays. Photo: Luis Sinco. 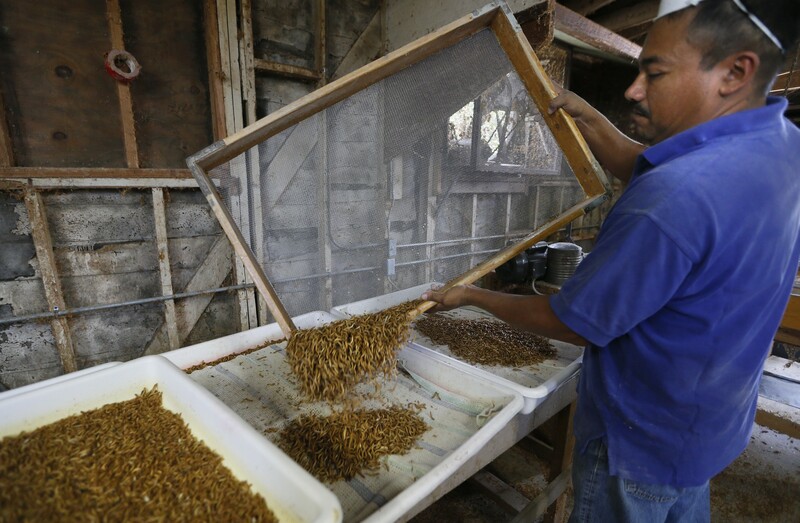 In general, insect farming is a meticulously clean practice. 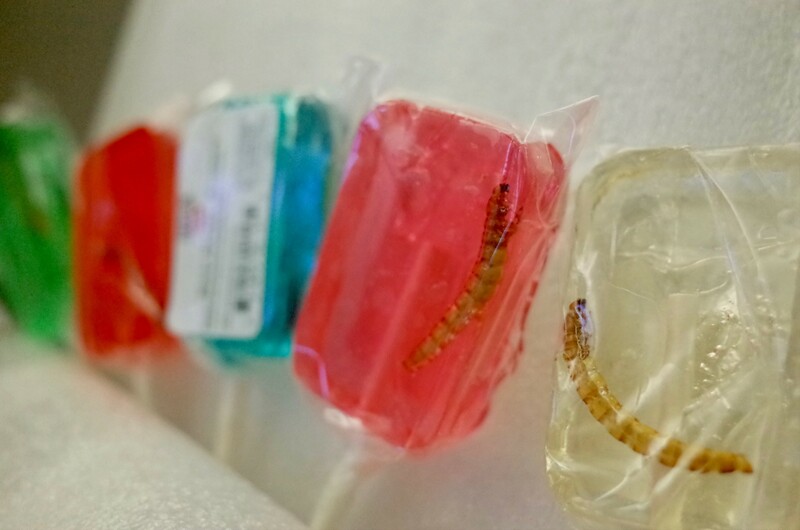 Edible insects are quite sensitive to chemicals, so they can’t be exposed to artificial food additives. 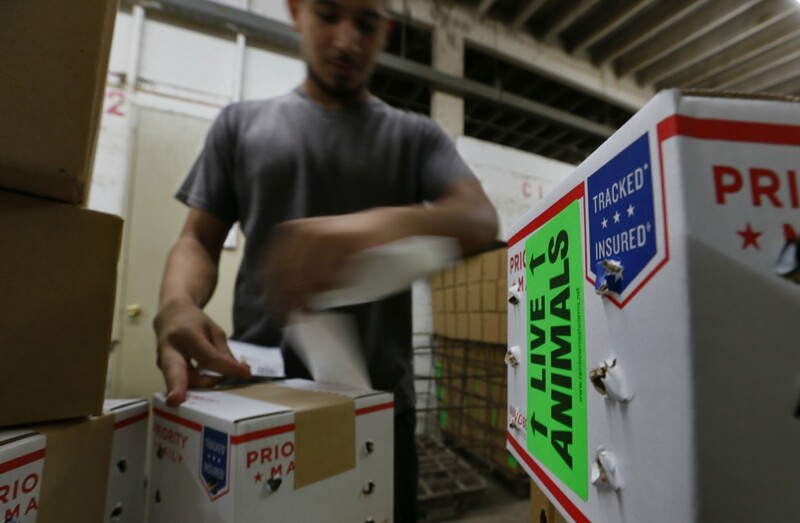 Spence, at Rainbow Mealworms, says she can’t even put flea collars on her cats because any trace of pesticide could wipe out her stock. Don Bugito’s snacks are a consistent bestseller at a kiosk in San Francisco’s Ferry Building, a foodie mecca. One of the main selling points is that they are made with a sustainable protein source. This article was written by Sasha Harris-Lovett and previously posted on latimes.com. For more great reads and in-depth news coverage of space exploration, medical science, climate change, technological breakthroughs and more, check out the Science section on the Los Angeles Times.